The NAAA Support Committee will award a $2,000 scholarship as top prize in its 2016 essay competition, and Covington Aircraft Engines has generously agreed to sponsor a $1,000 scholarship. The deadline for the 2016 Support Scholarship Essay Contest is Oct. 20, 2016. Scholarship awards are a major benefit of membership in Women in Aviation International and help members reach their goals and advance into the aviation and aerospace careers they have always dreamed about. A total of $695,500 was awarded in 2018, bringing the total scholarships awarded since 1995 to $11,495,581. Each year, The Ninety-Nines award several scholarships to qualified members for flight training (advanced and student) or courses in specialized branches of aviation. Criteria: The scholarships are open to members of The Ninety-Nines, Inc. The Alaska Chapter offers 2 scholarships. $1000 for a Private Pilot and $1500 for an Advanced Rating. Lady pilots, it’s time to apply for our 2017 Ladies Love Taildraggers’ scholarships. I’m thrilled to report we have SIX Scholarships available! Are you a nosewheel pilot who would love to fly a taildragger? 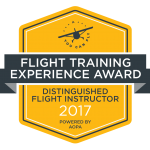 We have four awesome Tailwheel Endorsement Scholarships. Are you a lady taildragger pilot who would like to sharpen your tailwheel skills? LeRoy W. Homer Jr. “had dreamed of flying since he was a young boy,” according to a description of the scholarship that bears his name. The U.S. Air Force Academy graduate was the first officer for United Flight 93 on Sept. Applications are now open for more than t$156,000 in AOPA scholarships that will help student pilots and teens achieve their aviation goals. New Scholarships and Internship Program Announced! At FullThrottle Aviation, we believe that the entire aviation industry can benefit from investing in our next generation of pilots. That time period from 250 hours as a new commercial pilot to the next flying job can be difficult, and unfortunately there are people out there who are wanting pilots to pay for flight time…. The application deadline is May 2 for the scholarship programs, all funded by generous donations to the AOPA Foundation. 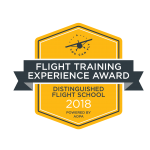 The AOPA You Can Fly High School Scholarship program, a component of AOPA’s You Can Fly initiative to support and build the general aviation pilot population, announced the awards it will issue in its third year of opening pathways to a life in aviation for deserving scholarship recipients. Natalie Kelley is a private pilot pursuing an instrument rating at Sporty’s and Founder of Fly Girl, LLC. Natalie established the Fly Girl Scholarship to support a female community learner pursuing a primary pilot certification or advanced rating at Sporty’s Academy so that a deserving individual with a similar background and determination can have the opportunity to pursue her passion for flying. This video with Rod Machado deals with the essential element of landinging…transitioning to the level-off and judging the flare. This is a technique I personally use quite often: “Focus near and far and watch the change in runway shape” Although this is a bit mechanical the awareness it creates is essential…happy landings! With its revolutionary new touchscreen interface, the Garmin GTN™ series will change the course of general aviation. Learn all about the system’s functions and capabilities with the GTN tutorial video series. AWARDS – ACE Level Submission Deadline for 2018 The deadline for passports is April 15, 2018. Passports must be received by that date to be eligible for the 2018 Ace level prize. The 7th Annual Awards Ceremony is Thursday night, June 7th at the Maryland Regional Aviation Conference, in Ocean City MD.